I've been intrigued by the Rocky Mountain Legacy Trail that runs between the towns of Banff and Canmore for a while now and it was very high on our list of trails we wanted to bike this summer. The problem was with the logistics. 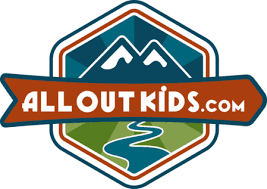 I found very little information on the trail in my internet searching, had a hard time finding a good map of the trail with distances between rest stops, and found nothing on biking it with children. I didn't even know if it was possible. I mean, how do you bike 20+km with young children, and then how do you get back to your car again at the end of the day? And how long would it take to bike that distance as a family? Even, which direction was best to do the trail in or which part was the most scenic???? - All questions I had - and that I now have answers for!! The Rocky Mountain Legacy Trail was built in honour of Banff National Park's 125th anniversary and has been recently expanded so that visitors can bike all the way from the Travel Alberta Visitor Info. 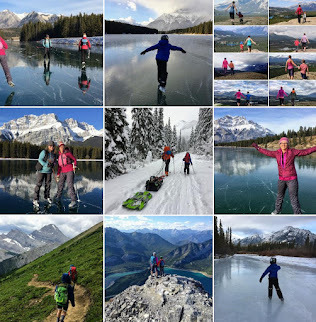 Centre in Canmore, through the town of Banff, and on to the Bow Valley Parkway at the end of Vermillion Lakes Drive. The entire trail spans a distance of 26.8 km, with a minimal elevation gain of 30 metres. Adult cyclists can expect to complete the full round trip bike ride in an estimated time of 2 – 3 hours with families able to do it in that same amount of time one way with a shuttle. We biked the distance between the towns of Banff and Canmore last weekend split into two trips to make it more manageable for our family. Friends of ours did the full trip one-way with their children as well and were successful at completing it all in one go. So, it is definitely family-friendly! Everybody we met on the trail was very friendly, gracious, and eager to see us biking as a family. We met no grumpy people or speed-cyclists that got angry when they had to slow down for a second to pass us. People just smiled when my son would accidentally drift over into their lane and many said hello to us as we passed by. We even had a few people stop on our first day to warn us of a grizzly bear on the trail near Banff. We took the warning to heart and stopped a kilometre short of the town to avoid running into Mr. Bear. 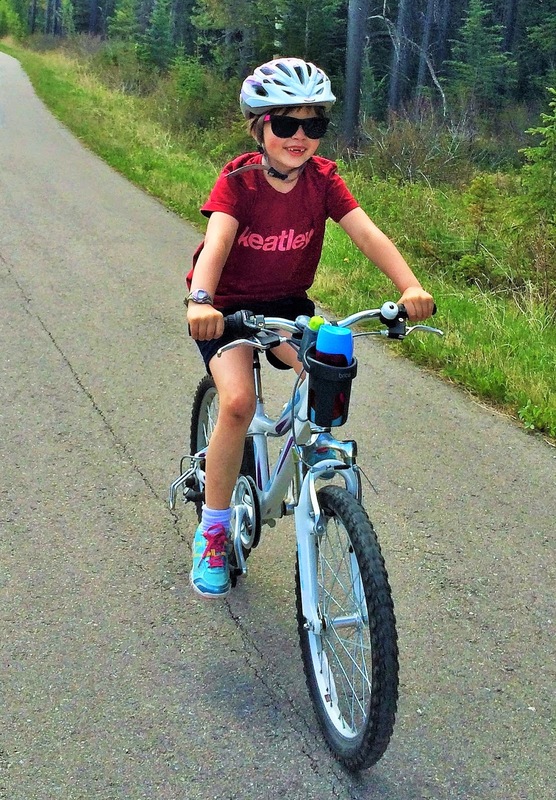 On our two days that we spent biking the trail, we saw families with children riding their own pedal bikes, families pulling Chariots or bike trailers and families using trail-a-bikes or special seats on their bikes for toddlers. There were a wide range of ages on the trail and most people we met were out for a leisurely ride. 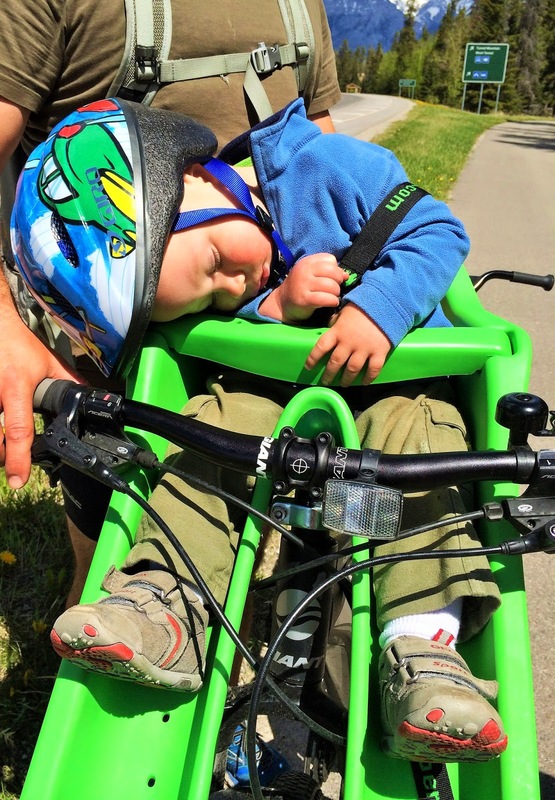 How can you break the ride down into manageable pieces with children? The picnic area is located roughly 10km east of Banff on your right hand side as you head towards Canmore. If coming from Canmore, you'll have to go to Banff and turn around to reach the picnic area. If coming from Banff, just pull right off the highway to access the parking lot. This is the high point of the trail. From here, you can bike one-way to the Travel Alberta Visitor Info. Centre in 8 km, or you can bike back towards Banff in approximately 8 km. It will be mostly flat or downhill whichever direction you go from Valleyview. Hence, why we did the trail spread out over two days - and started from Valleyview both times! The shuttle is fairly easy to do. Just bike to Canmore or Banff and then send an adult back for the vehicle. It will only take the adult a half hour at most to go fetch the car, and you can hang out in Banff or at the Travel Alberta Visitor Centre while waiting with the kids. Bring some snacks and the kids will hardly notice the wait. Alternately, send one adult to the end point to park and have them bike back to meet you on the trail. We did this the second day and it didn't take my husband long to find us on the trail. Valleyview is roughly half way between the two towns, has bathrooms, and picnic tables. It's a good resting spot and most school-aged kids should be able to do the full ride one-way with a half hour rest break for lunch. In my personal opinion, it's easier to ride from Banff to Canmore (more downhill,) but it's prettier in the Canmore to Banff direction with Cascade Mt. looming over you on the final stretch. Either way, friends of ours did the trip in the Banff direction last weekend with a 7 year old, and the girl biked the whole way on her own - so it's doable either direction. If you do the full ride with kids, you'll want to find an interesting spot to stop at the end while the dads (or moms) ride back for the car. This is what friends of ours did and it took the dads an hour to bike back to Canmore. They stopped at Central Park downtown Banff near the river and let the kids play while waiting. Finally, anticipate roughly one hour of riding on each side of Valleyview, two hours for the full ride. Most kids 5+ should be able to ride roughly 10km per hour. My son was doing this pace and he certainly wasn't pushing it. If you don't want to worry about a car shuttle, you can always ride from Banff to Valleyview, and back again, or from Canmore to Valleyview, and back again. 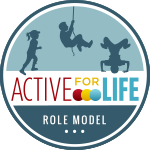 Either way it would be a 16 km return ride and doable for most children 6-7+. By using trail-a-bikes, you could do it with children as young as 4. Where do you park for the Legacy Trail? If you're coming from Canmore, the answer is simple. You park at the Travel Alberta Visitor Info. Centre. It's located on the south side of Hwy 1 on the west end of the Canmore service road. There's a big parking lot with bathrooms inside. It's also conveniently located near plenty of fast-food restaurants should you need a final coffee or snack. If you're coming from Banff, the best parking lot is at the Cascade Ponds Picnic Area at the beginning of the Lake Minnewanka Loop Road. There is a short connector path that leads from the Cascade Ponds area to the Legacy Trail. Here is a MAP of the WHOLE TRAIL up to the Banff East Gate. From there it's a short distance into Canmore. If you don't want to set up a car shuttle for your ride and are lacking an adult wanting to bike both ways to fetch the vehicle, check out the Canmore-Banff Roam Public Transit Service. The buses even have bike racks on them! All information along with bus stop locations can be found on the link above. 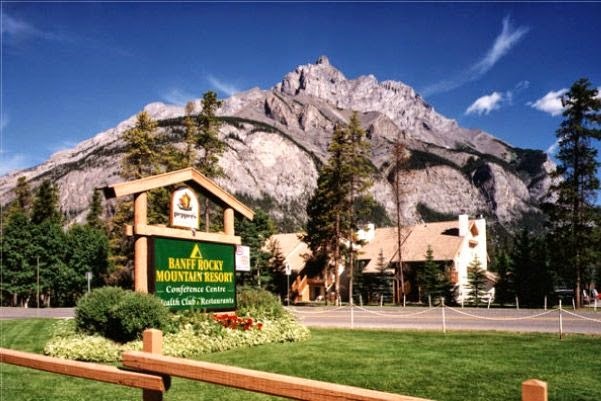 The Banff Rocky Mountain Resort is steps away from the Legacy Trail and makes a great biking base camp for families wanting to spend the weekend in Banff. The hotel even offers bike rentals on site during the summer season which is a major score for families visiting on vacation! We stayed at the Rocky Mountain Resort in the winter and it was a great place for the whole family. We stayed in one of the new two-bedroom Wolf Condos and had a comfortable condo for our family to unwind in at the end of our daily adventures. Our son even had his own bedroom!! There was practically no need to go home. We could have just moved in and been quite comfortable with our new home that included a cozy kitchen, fire place, and living room. The resort even has an indoor swimming pool and outdoor hot tub. 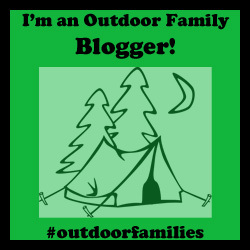 Find a campground in Banff that can match that! For more resources on the Legacy Trail, visit the Banff National Park website. Questions that I didn't answer? Comment below and I'll respond the best I can. 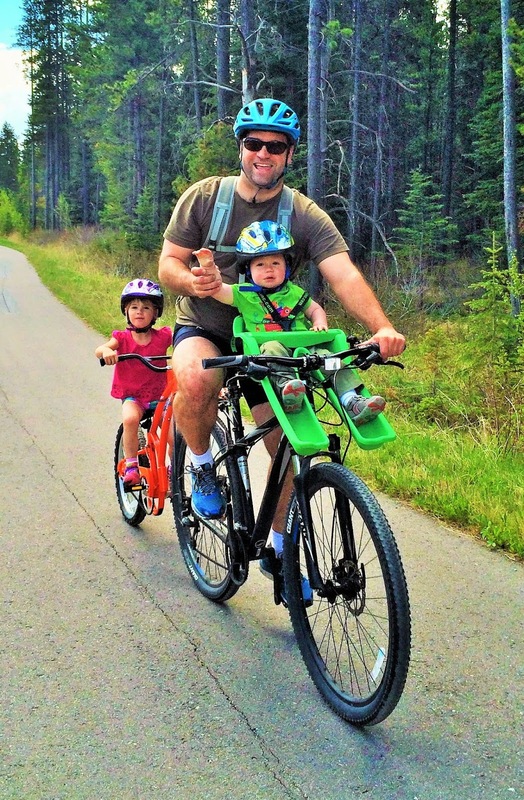 For more great family-friendly bike paths in Banff, read my latest story: The Best Family Bike Trails in Banff National Park.